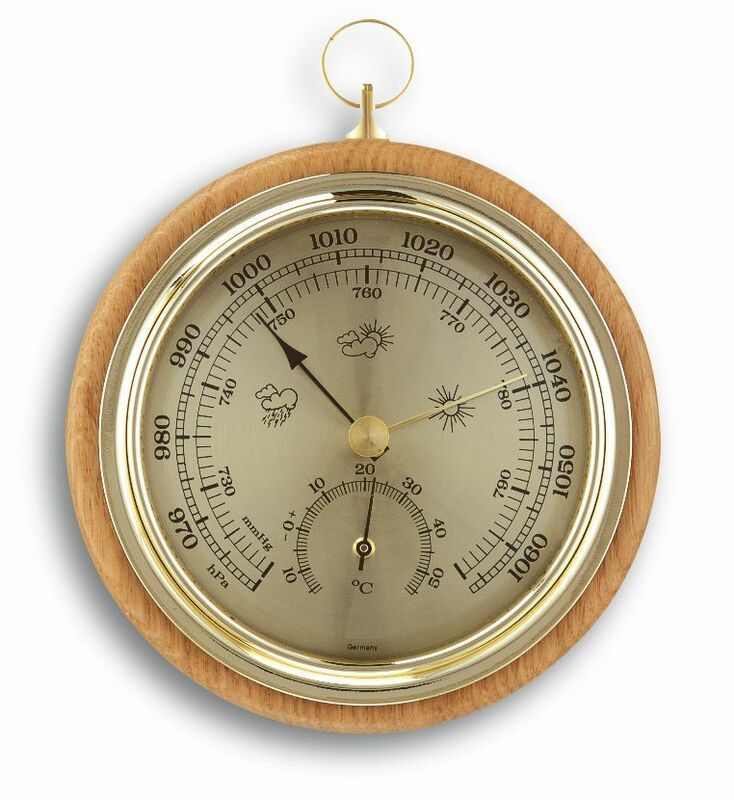 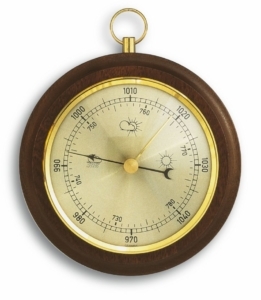 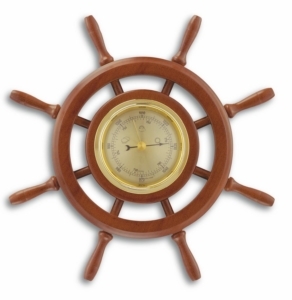 The classic instrument made of solid wood consists of a barometer and a thermometer. 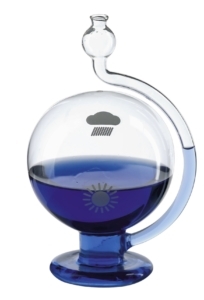 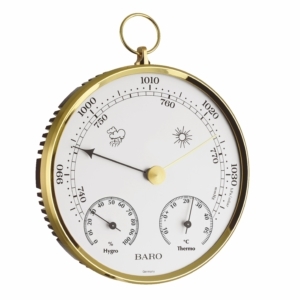 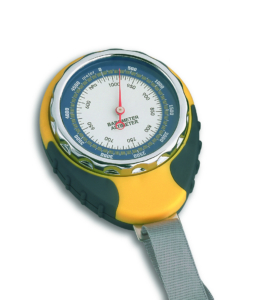 The barometer measures air pressure and allows you to make a local weather forecast. 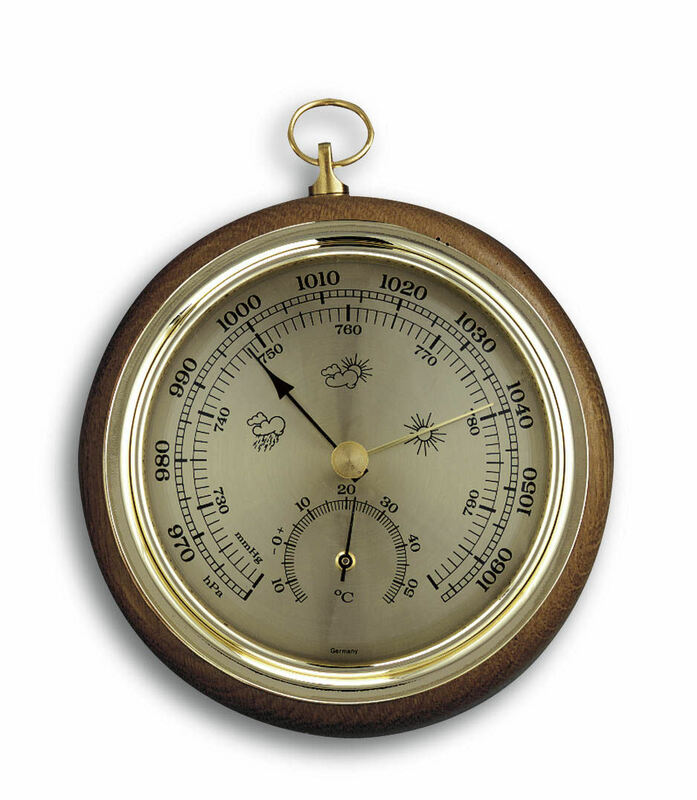 Whilst the weather improves with increasing air pressure, you should expect bad weather with decreasing air pressure. 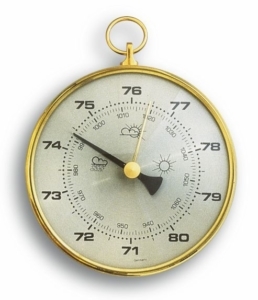 By controlling the indoor temperature, you can create a comfortable indoor climate and save on heating costs.